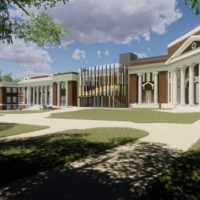 Three Ingram family members are making gifts totaling $20 million to name Vanderbilt University’s newest College Hall in honor of their late father, E. Bronson Ingram, who served the Board of Trust for nearly three decades and led the board from 1991 to 1995. Robin Ingram Patton, John Ingram, MBA’86, and Orrin Ingram, BA’82, came together to make the gifts, which mark the third generation of the Ingram family to provide visionary leadership support to Vanderbilt. Zeppos noted that the impact of Ingram family philanthropy is seen and felt in nearly every corner of campus. Their gifts support areas including the Ingram Scholars Program, the Blair School of Music, the E. Bronson Ingram Studio Arts Center, Vanderbilt University Medical Center, Vanderbilt–Ingram Cancer Center, Vanderbilt athletics, and more than two dozen endowed faculty chairs. Since 1952, when O.H. “Hank” Ingram joined the Vanderbilt Board of Trust, Ingram family members have provided a combined 79 years of leadership and philanthropy through Board of Trust service. 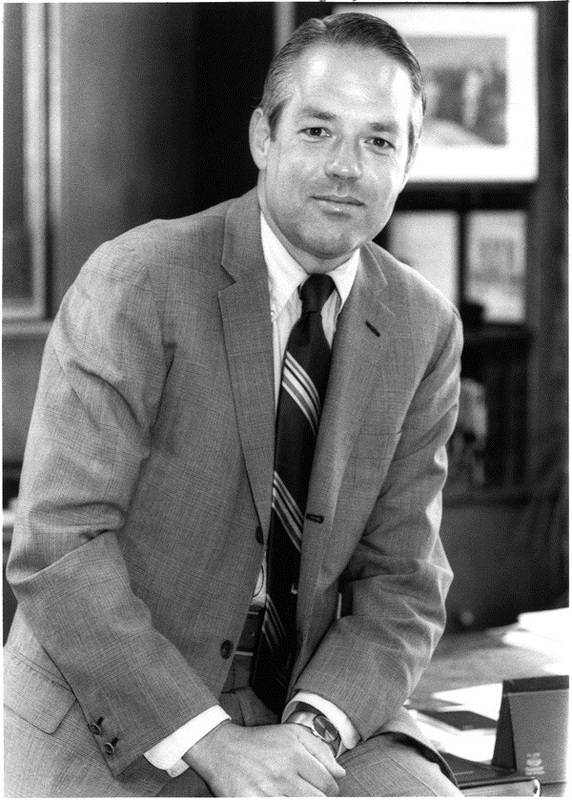 Following Hank Ingram’s death in 1963, his son Bronson Ingram joined the Board of Trust in 1967 and, during his 28-year tenure, chaired the Campaign for Vanderbilt and served as board president from 1991 until his passing in 1995. (The leadership role was renamed board chairman in the late 1990s.) His wife, Martha Rivers Ingram, joined the Board of Trust in 1995 and became its first female chairman in 1999, leading the university for 12 years. Her sons John and Orrin have served 14 and 10 years on the board, respectively. During her board service, Martha Ingram championed the residential college concept and saw the opening of The Commons under her tenure. 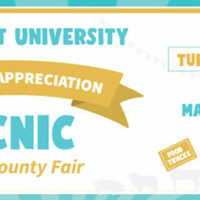 The Board of Trust renamed The Commons in her honor when she retired as chairman in 2011. It is now The Martha Rivers Ingram Commons at Vanderbilt. The university is moving quickly to extend the living–learning concept and its concurrent sense of community and connection to all undergraduates — a key pillar of the Academic Strategic Plan. The three Ingram children follow their parents’ legacy of leadership at Vanderbilt. 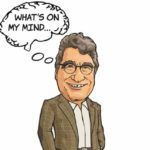 Orrin Ingram, president and CEO of Ingram Industries, is a former member of the Vanderbilt University Board of Trust and was vice chairman of the Shape the Future campaign. John Ingram, chairman of Ingram Industries, is a current member of the Vanderbilt University Board of Trust and chaired the Shape the Future campaign for Vanderbilt athletics. Among her wide-ranging interests at Vanderbilt, Robin Ingram Patton was the driving force behind multiple gifts to honor her father, including the building of the E. Bronson Ingram Studio Arts Center, the E. Bronson Ingram Chair in Neuroscience, and the E. Bronson Ingram Chair in Pediatric Oncology. She is also a benefactor to Vanderbilt athletics, including her support of the E. Bronson Ingram Chair in Football. The Ingram Commons, which opened in 2008 as a living–learning community for first-year students, was Vanderbilt’s first step into the residential college system. Its success spurred further development of College Halls. Warren and Moore Colleges opened in 2014 for sophomores, juniors and seniors. 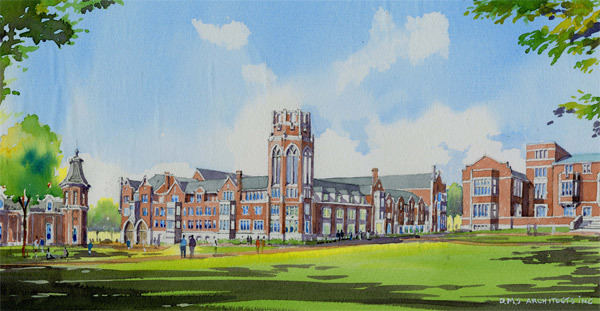 The new E. Bronson Ingram College is slated to open in fall 2018 on the site of the former Vanderbilt and Barnard Halls.